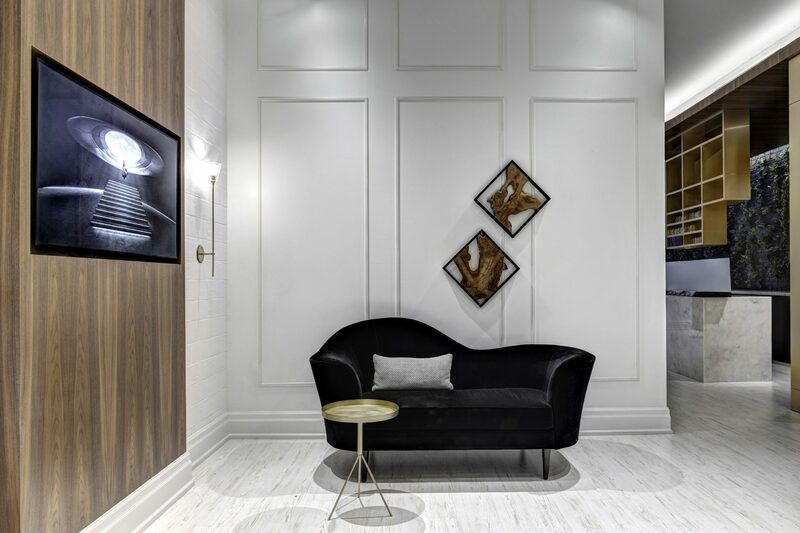 This bi-level presentation gallery was conceived to attract purchasers through a distinct sales approach, while simultaneously identifying the developer’s innovative brand. 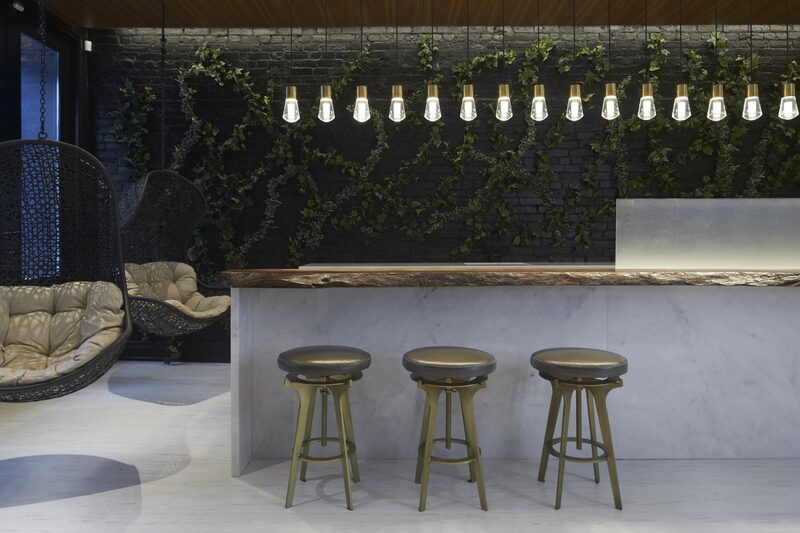 A café style reception quickly puts visitors at ease: outdoor inspired lounge seating and a statement foliage wall contribute to the overall warm, welcoming environment. 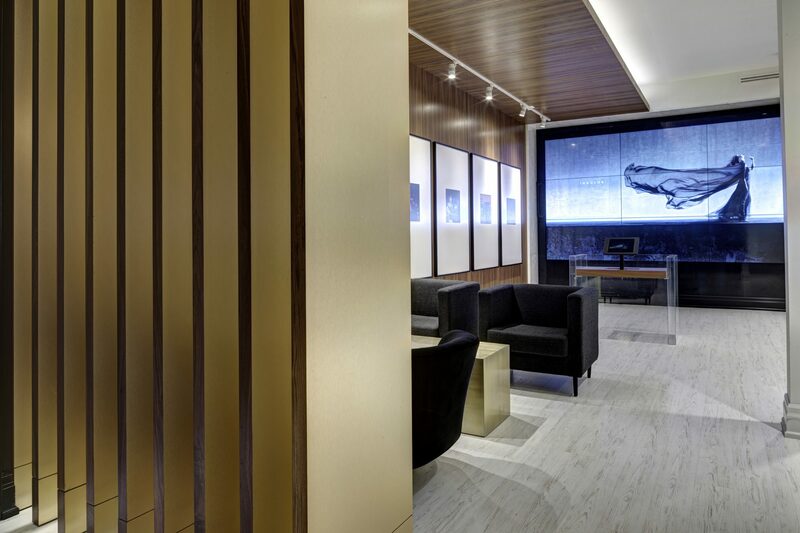 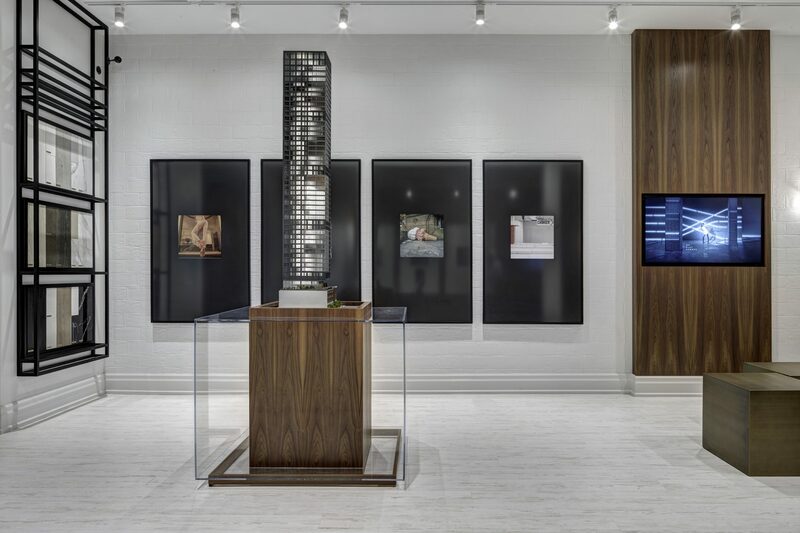 Finish options and scale model are displayed as artwork conveying an elegant boutique retail environment, while floor plans and lifestyle images are featured on digital screens. 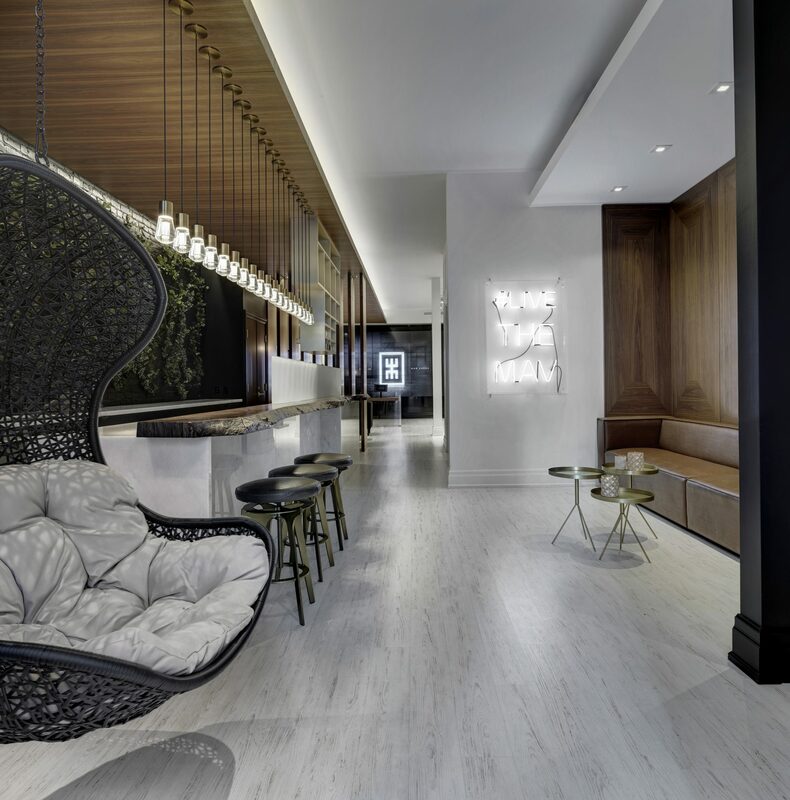 The second level allows potential purchasers to experience curated building amenities, such as co-working areas, lounges, games rooms and even a beauty bar. 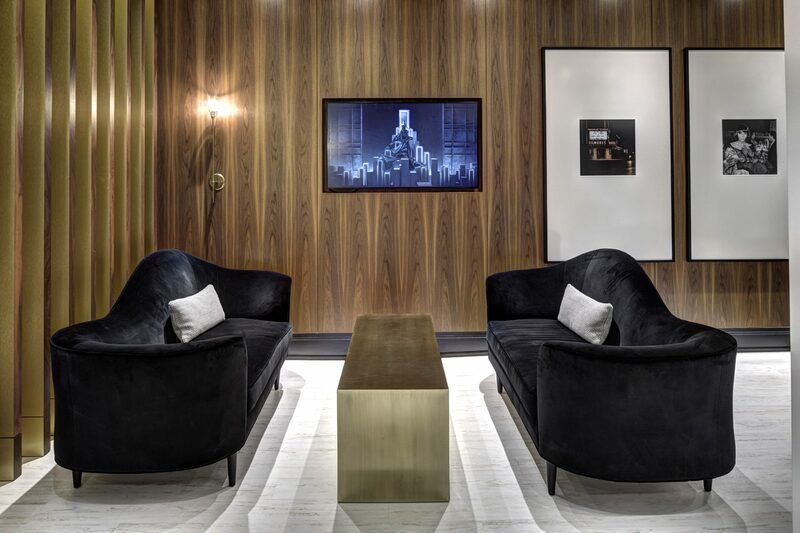 A unique sales venue for a contemporary urban residence.